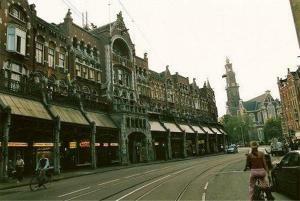 Hotel De Westertoren, Amsterdam discount hotels and accommodation. Hotel Westertoren is a charming family hotel in the center of Amsterdam, situated close to the canals of Amsterdam, the Anne Frank house, the Westerchurch, and the Dam square with its night-life and shopping streets. Breakfast is always served in the rooms and is of course included in the price. View photos, room descriptions and make online reservations at Hotel De Westertoren. Save on room prices at Hotel De Westertoren, Amsterdam.